Big Lots store is almost ready – sign in the window says it will open on October 27th. It’s in between Ross and Bed, Bath & Beyond at Holiday Village Mall. 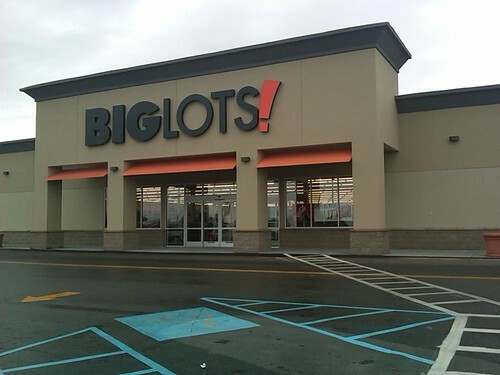 Never been to a Big Lots before…have you? Wow! It’s a Fortune 500 company with annual sales over $4 billion. Its department stores focus mainly on selling closeout products. I love Big Lots, we have them back home in the South. If you local store is no longer carrying an item you like, check big lots for closeouts.